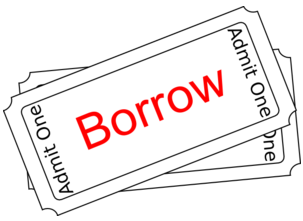 Borrowing to invest is probably most commonly seen when people have a mortgage on a buy to let property, ie, they’ve borrowed from the bank/building society to invest in property for capital growth or rental income. They win when the property increases in value or they receive high rental income returns. It’s a risky business that not all would want to get into as there are no guarantees but many do to reap the benefits. But what about borrowing to invest in shares/equities? Whilst there are tons of articles and info online about borrowing to invest in property, I couldn’t find anything recent about borrowing to invest in equities. Why is this? Too risky because markets can be volatile? Isn’t it still a form of leverage/gearing? Or just a stupid idea that no one in their right mind should even consider? Ahem…. I get a small fixed interest loan. I use the loan to purchase equities/funds via my SIPP. As a lower tax rate payer, I get 20% tax relief, which I will use to purchase more equities/funds in my SIPP. Over the 3 / 5 years, my funds grow, including compound interest, time in the market and all that. Ok, point 5 is the big ‘maybe’ – investments can go down as well as up. And granted that there’s more benefit if you’re a higher tax rate payer (40%+ tax relief) but perhaps still worth looking at? As someone who invests making small regular monthly payments, this is also a chance to make a lump sum investment for a change, Monevator’s just made a timely post about lump sum investing here. So, where to get a low, fixed interest loan? A quick check at various banks (including my own bank) and I see that I could get a £7,000 loan, 4% APR for 5 years (rate is ‘representative’ so I might get that, or it could be higher, depending on my credit rating, I guess). So the loan will cost me £728.60 over 5 years, or £145.72 per year. 20% tax relief via my SIPP on £7,000 works out at £1,750 so I’m up by £1,021.14 from the start. My £7,000 + £1,750 will be invested in index trackers, ETFs or shares. Am I missing something really obvious here, or is this too simple to work? Apart from getting into debt and the big risk that whatever I use the loan to invest in may not see any gains, is this a viable idea? If I were to invest money from my own pocket, wouldn’t there still be the same risk, ie my investment not performing? (Except of course, in the above example, if the £7,000 was from my own pocket, I would get the full £1,750 tax benefit, instead of just £1,021.84). So if I invested in the wrong fund (or at the wrong time), I could lose money, regardless of whether the money was from a loan or not, although with the loan, I’ll have to pay £728.60 for the cost of borrowing. Many of the blogs/websites I read these days talk about paying off debts/loans/mortgages so that you can becoming debt free and on the road to financially independence. Here I am thinking about getting into debt but using the debt/loan to work for me. There’s no guarantee that fund/equity prices will grow but isn’t that just investment risk anyway? Anyway, I’m just mulling over this – perhaps it’ll take an adjustment of the markets for me to make a move, so I’ll wait and see what happens. Oh but wait, isn’t that trying to time the market…? This entry was posted in Borrowing, Funds by weenie. Bookmark the permalink. Far too high risk for my liking, especially given that you'd be investing into a SIPP where you were then unable to access the cash. Having that debt means you're unlikely to qualify for an overdraft, credit card or other bank loan should there be an emergency situation. Presumably you have an emergency fund? It would be less risk (and saving on the interest) to just invest your entire emergency fund and keep this loan as an option incase of emergency. It is risky, but could be a risk I am willing to take. I'm fine with my overdraft, have numerous credit cards that I can fall back on if I have to (although I only use one these days, which is paid off in full each month). Funny, I wouldn't want to use my emergency fund to invest as I think that's too much of a risk, should I need cash in a hurry! Hi weenie, I've just read the Monevator article and I understand your thinking. The tax advantage of the SIPP is key as it lifts your investment even if markets don't perform as well as you would hope. However the tax advantage is only of value if you won't end up paying it back again when you take the money out at the other end – ie when you retire. You have to make sure you won't be boosting your SIPP past the level of the personal allowance (if you are currently a BR tax payer). I'm planning on having my SIPP give me around £8,500 per year when I take it in 4 years (the other £2,000 of personal allowance ( at current rates) will be used up by a small DB pension and my half of our rental income. I will take it for 3 – 5 years whilst I wait for my DB pension to kick in. Therefore I'm not planning on having much more than £37,000 – £40,000 in there. Any further funds I need will come from my S&S ISA. Can you see how you are going to use your SIPP and how it fits in with your tax situation? Are you also going to use it to fund deferring your DB pension? How many years will you need it for? Hi Cerridwen, thanks for your timely post to remind me that I needed to fully analyse my ISA/SIPP allocation! I had the figures in my head but hadn't gotten round to jotting them down! I figured out a couple of months ago, that I needed to put more money in my ISA and not my SIPP due to the personal allowance aspect and I was thinking of using it for income before my DB pension kicked in. Like you, this would be for a fixed number of years (5 years, if I choose to retire at 60, 9 years if I choose to retire at 56!) and I'll only need around £7.5k from the SIPP, with the rest of the allowance made up with rental income and a small personal pension. In my calculations, I've been conservative with the growth of my investments (4%), but overestimated the income I'll need when I retire. I've set a target early retirement pot of £250k but it's possible that I may not need that much. Assuming you pay zero tax in the future which would be the greatest gain, your tax win is amortised over the number of years between now and 55 (or 57 or whatever…) so about 10 years. It gives you therefore a boost of about 2% p.a. Whereas I am an old git and am a small number of years from getting the tax break – a win of 10 to 20% is well worth getting out of bed for. I actually just save cash in my SIPP as all the win is the tax bung and it will be in there for < 5 years. The trouble with your loan idea is at the end of the five years you have to redeem the loan. Now either you save the cash to redeem the loan over 5 years (+ pay the cost of carry in the interest) in which case that is a straight calculation of is the expected gain from the stocks better or worse than the cost of the loan. But if you have to redeem the shares to liquidate the loan or experience any other sort of financial embarrassment (loss of job etc) then you've exposed yourself to being possibly a forced seller into the stock market, And that falls into the wrong way-do not enter-turn back now class of things. The loan would be paid off over the 5 years, so the first repayment would likely be the month following receipt of the loan. I would of course be gambling on whether the expected gain will be better than the cost of the loan in 10 years time and that the £1021 will have increased in value too. I'm fairly confident that I won't be a forced seller – if things went pear-shared with my job, I have other means to repay the loan (probably rental income , not ideal but which is doable). Still 50/50 about this – half of me excited that it's an opportunity not to be missed; the other half thinks of the risk and of what you and others have said. Thanks for stopping by and posting – for now, I'll just continue to think on it! I don't know the tax advantages of the SIPP that you are talking about but if you just want to borrow money to invest then have you considered using options, calls, puts and all those other types of stock market options that I'm too scared to learn about or try? I mean, I guess doing calls and puts puts you on a much shorter timeframe for your investment than 5 years but like I said, I honestly don't know cause I'm too scared to get into that stuff. But from what I know you're putting down money to buy the stock at a later price if it's gone above that. That seems like a better way to approach it to me, that way you're still only dealing with the money that you have and not going into debt to invest money. But then again, I'm one of those people that owns a house and technically has a boat load of debt yet collects rent to pay for it. Hi Zee, put or call options (spread betting) scare the hell out of me and the fact that you've mentioned them in the same breath as what I'm proposing makes me think that this may just be a risk too far for me to take…for now anyway! So I'll probably park this idea, to revisit (or not!) at a later date! I agree with most of the comments above I'm afraid. You are responsible for paying a lump sum every month for 3 or 5 years, and you're banking on the investment not losing value by 20%. You could absolutely make money from that, but you could equally lose more. Tesco has now lost 40% in one year. That is extreme, but investment values are unpredictable. I think that the process would also be taxing psychologically. What would you do if the value went down by 10%? I can almost imagine it being quite a stressful time for 4-5 years waiting for the time to elapse and hope your investment is up. I think the essence of what you're trying to do is great. You're effectively wanting to pay £128 per month to have an increase in your investment pot. I have a solution that it less risky, and less demanding on your stress levels…… Can you find a way to decrease expenditure/increase income in a way you haven't considered yet, which will create an additional £128 surplus a month. You can then choose to invest that for 3 to 5 years. I think that challenge will be tough, it will make you a stronger person, you'll generate the capital you're after and most of all you aren't committed to anything! So, if you tried it for 3 months and decided you didn't want to do it anymore, you could just stop. You won't have that option with a loan. I wish you all the best with your decision making! Thanks for pointing out the 40% Tesco loss, which puts things in some perpective – I think I was more looking at it from a positive (and unrealistic) point of view. Yes, I am effectively wanting to increase my investment pot but I think considering to finance it with a loan, I was probably being impatient and I should know by now that patience is key for long term investing! I think it was the allure of a big fat lump sum in my pot NOW rather than later, but perhaps I should just stick with my plan of drip-feeding. I will get occasional lump sums (though nowhere near £7k) – at least now I'll know to invest them, whereas in the past, I would have just spent the money! I'll continue to look at ways on how I can decrease my monthly expenditure, continue to plug away at other little side incomes so that I can increase (or at least maintain) my savings rate. Thanks Huw (and all the others) for your comments, I shan't be doing anything daft with this idea! Hi. Love your site. Depending on personal circumstances there seems to be a better way to do this currently. One is freeing up equity in your property using cheap mortgage rates to borrow more. Thats certainly a valid option in my opinion. However, an even better way would be to use a money transfer card. There is at present a 32 month 0% money transfer card available with a low 1.69% fee. This opens up an array of options from high interest current accounts, P2P, fixed term deposits etc but the option i'm currently considering is a SIPP. Of course the 20%/40% tax back itself should ensure one doesn't lose but i'm also considering a 60:40 equity:bond split to reduce any downside movements – all cheap trackers (mostly Vanguard). There are of course possible negatives to consider – many mentioned above and others such as credit limit. However, I believe the possible benefits outweigh the negatives on this one. Thanks! Well, according to all the BTL stuff that I read about in the newspapers, I'm going about it all wrong as I'm actually planning on paying off my BTL mortgage. I could have freed up some equity to buy another property but I decided that it wasn't something I wanted to do. As for the money transfer cards, I did look at some recent offers, did consider the idea and then decided against it! Having paid off my car recently and with job uncertainty on the horizon, I can't see positives outweighing the negatives. Or rather, even if they do, the gap isn't big enough for me to take the risk. I am slowly and very much enjoying working my way through your blog from the very beginning, I like your story and can relate to it. Perhaps because I live in Greater Manchester. Whats more I belief your story. I am or was a retired quite early (46) Management Accountant who worked for a major German company. I made money in the stock market by borrowing capital (manageable amounts, but ongoing) and investing. Its all about managing risk. Your finances in 2014 could easily have managed risk. Now its a knocking bet to borrow capital with historically low interest rates. Stock market crash:so what – live with it, you are young enough. Just remember DCF. The best gratification is delayed gratification eg a pension . If the taxman is going to contribute into a SIPP without asking – grab it with both hands.I am now now 63 and expect to invest a lot longer. My Father died recently and was looking forward to making even more compound interest aged 89. I am amazed that people who set a predetermined goal, reach it and give up. Why? Have they died? I get so much satisfaction from dividends and enjoy the retail shares I have when shopping in their stores. I am certain that you will reach your goals and I wish you all the very best. .
Wow, thanks for taking the time reading my old posts! Well done on retiring so early – perhaps if I’d gotten my own finances sorted at an earlier age, I could have thought about retiring in my 40s but mid/late 50s is my best hope now! I don’t mind taking a little risk re investing but I’m not sure I’d risk so much leveraging. Borrowing to invest seemed like a good idea but having recently lost my job, I’m glad I didn’t go down that route in the end to be honest! I think once I reach my goal, I will most certainly continue to be invested – I won’t be giving up. Thanks for your kind words and wishes.